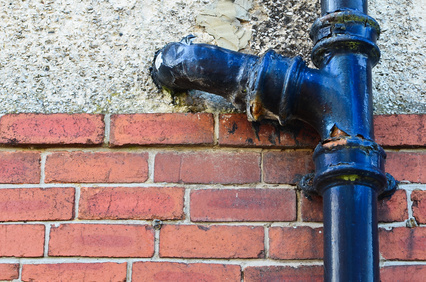 Whether you own a home or business, it’s crucial to make sure there is no backflow in any of your pipes. Backflow is the term used to describe dirty, contaminated, non-potable, or sewage waste which is erroneously released into clean water lines which are used for drinking water, or water used by a dishwasher, hot tubs, or pool. Pipes are constructed with backflow prevention devices to make sure this doesn’t happen as it could cause severe illness to an individual or population. Backflow can happen in a variety of situations, such as when insecticide attachments are put on hoses and the water, when shut off, drains back into the home contaminating the drinking water. Another example is when toilet flush valves that don’t have anti-siphon devices which allow odors, vapors, and sewage into the household plumbing that carry fresh water. Backflow devices are part of city regulations here in Melbourne, Florida, as they are in just about every part of the country. To keep a building up to code, they must be in proper working order, so getting the systems tested yearly is usually required. To make certain the systems are up to code, devices including air gaps are tested. Air gaps are designed to prevent water from traveling backwards into a home or office by allowing the water to flow only one direction. Although they work very good at preventing backflow, testing them yearly ensures public safety. A certified backflow testing plumber should always be the one testing the system. There are a few areas in the home which are generally problem areas for backflow, such as: in the kitchen with garbage disposals and dishwashers, in the bathroom with hand held shower heads and toilets, in faucets around the home which have hose bibs or where a garden hose can be attached, and outdoors in areas like swimming pools, ponds, and irrigation systems. All plumbers who check backflow systems need to go through training before becoming certified. This is to ensure they completely know and understand what they are looking for when working with backflow systems. They also need to know how to service any problems. Certified backflow testing is done on site by a qualified tester who has passed all of the testing necessary to get the certification. Not all plumbers are certified, so it’s important to hire one that can show you their certificate when you ask. When the health of the public is at stake it’s not the time to try and skimp on savings by hiring someone not qualified to do the job. If you’re a homeowner and suspect you have a backflow problem, whether it’s indoors or outdoors, you should immediately call a certified backflow testing professional. They can help to fix any problems that may be causing the backflow or they can pinpoint what the real problem might be if not related to backflow. Keeping your family safe is important, so call a professional to get the job done right.